There is no more personal room of a home than the bedroom. A bedroom says a lot about its owner and what they like. And of course, at the heart of every bedroom is the bed. Some people sleep with lots of pillows while others like to lie perfectly flat; some prefer small beds while others need a California king. Whatever size, shape, or style of bed you have, it can be sure to include one universal detail: bedding. If for you, like many people, the bed is the dessert at the end of a long day, then luscious bedding is the cherry on top. 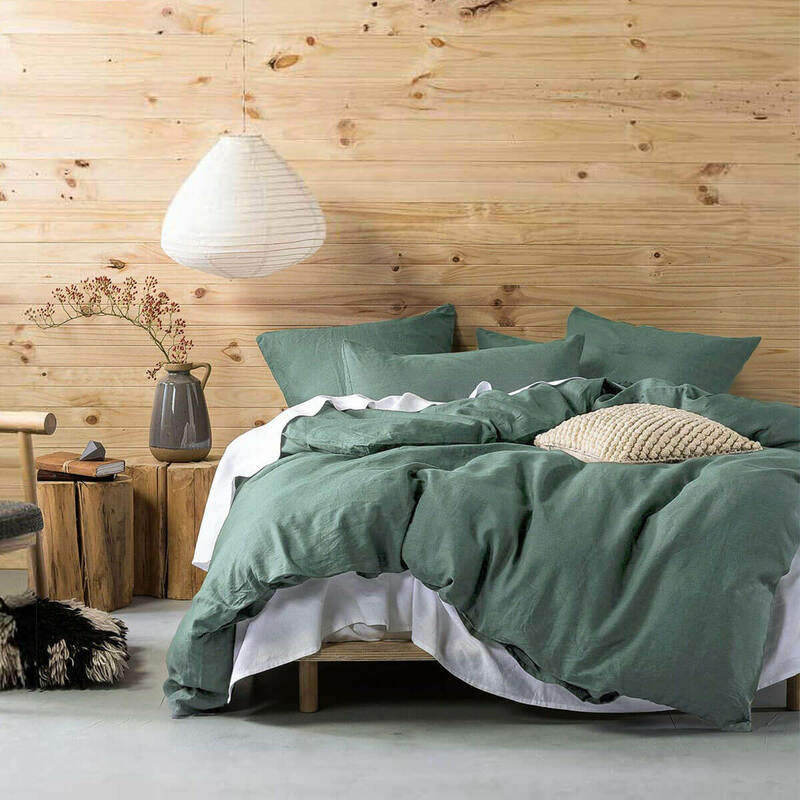 The fact that people spend basically a third of their life in bed is reason enough to invest in high-quality bedding that not only looks great but feels great. You want to be sure your bedding gives you rest, relaxation, warmth, and comfort all night long. This list offers you 40 gorgeous and comfy bedding options that range from crib sheets to duvet covers to five-piece bedding sets. Whatever you are in the market for, you will surely find options, colors, and styles to suit your needs. Everyone knows that the ultimate pillow is a cloud, so what better inspiration for your bedding? 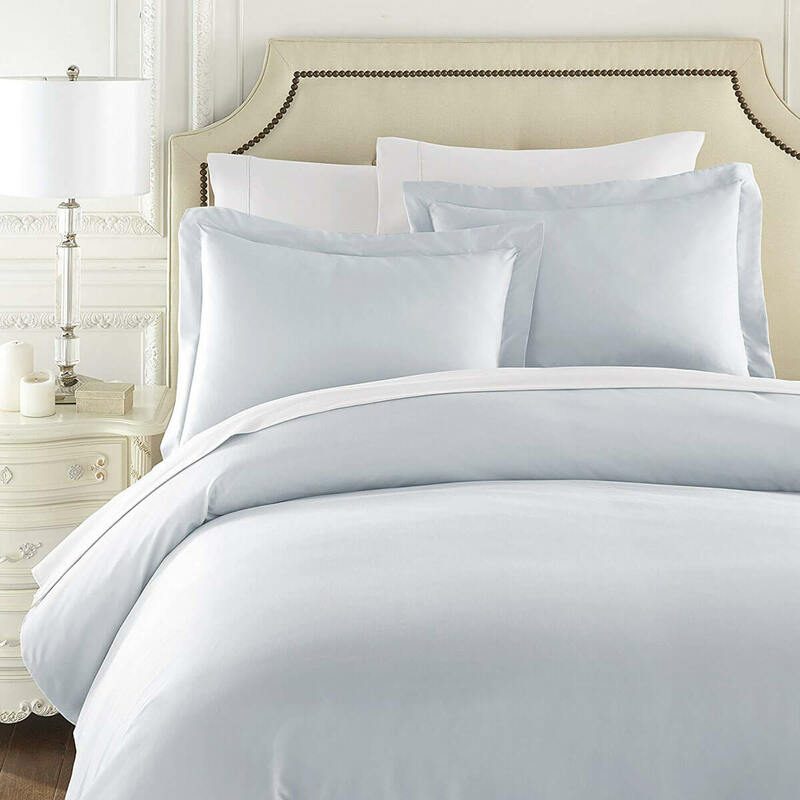 This delicate and light sky blue and white bed set is made of high thread count Egyptian cotton and comes in both queen and king sizes. There are also a wide variety of colors to choose from, though nothing beats the dreamy light blue. This super cool five-piece bedding set comes with everything you need for a comfy night in. 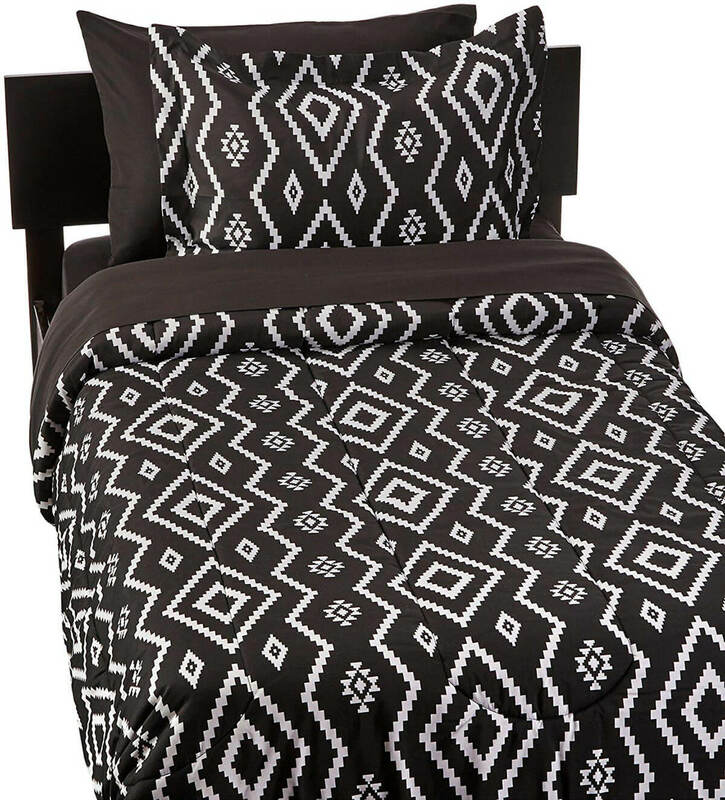 The black and white pattern featured here is inspired by Navajo art and is very on trend. There are also fourteen other patterns to choose from. Available in twin and twin XL, this set is perfect for children’s bunks or dorm rooms. 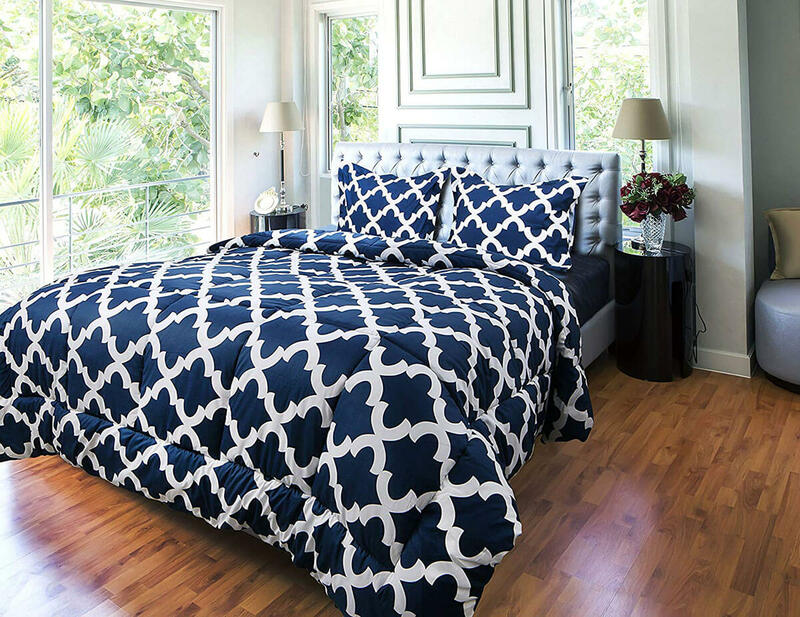 True to the European style, this beautiful comforter is actually a duvet cover. 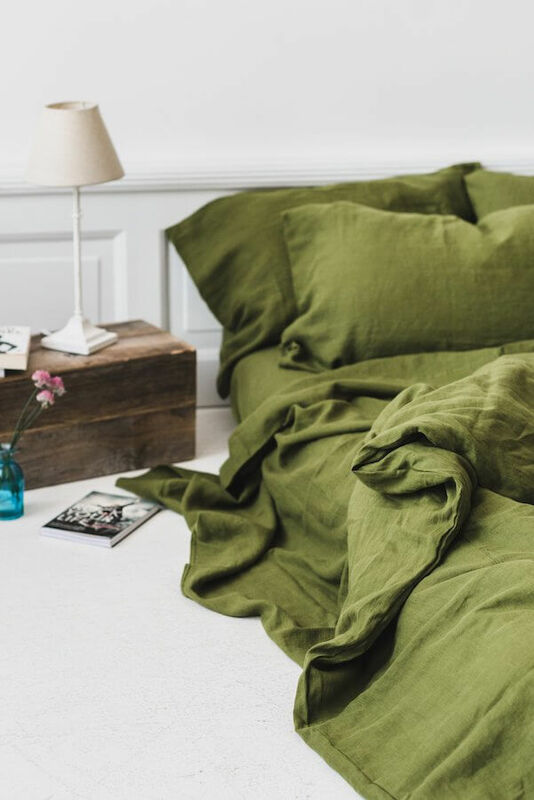 This just means that when your favorite comforter is still in great working condition but is looking a little worse for wear, you can simply pop a beautiful and soft new duvet cover over it and all of the sudden you have brought new life to your old favorite. Sometimes it is nice to have a new look for your bed without the hassle of having to store a whole additional set of bedding. That is where this awesome comforter comes in. Boasting two sides of beautiful colors lets you choose from bright pink with orange or something more relaxed like mint and gray. 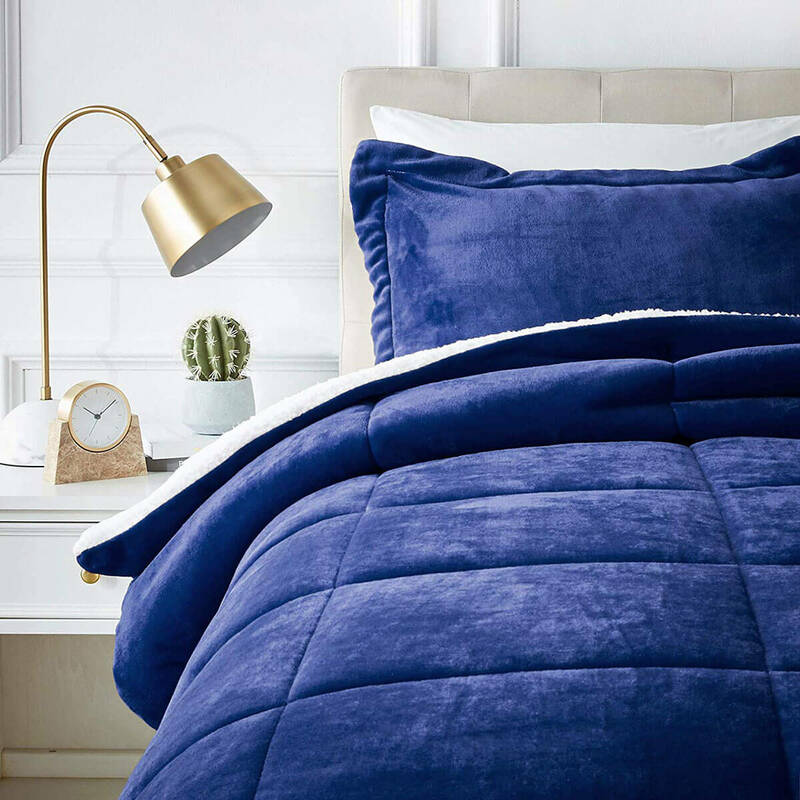 This luxurious bed set is not so smooth and velvety on the outside but boasts an incredibly soft and comfortable faux Sherpa fleece on the inside. 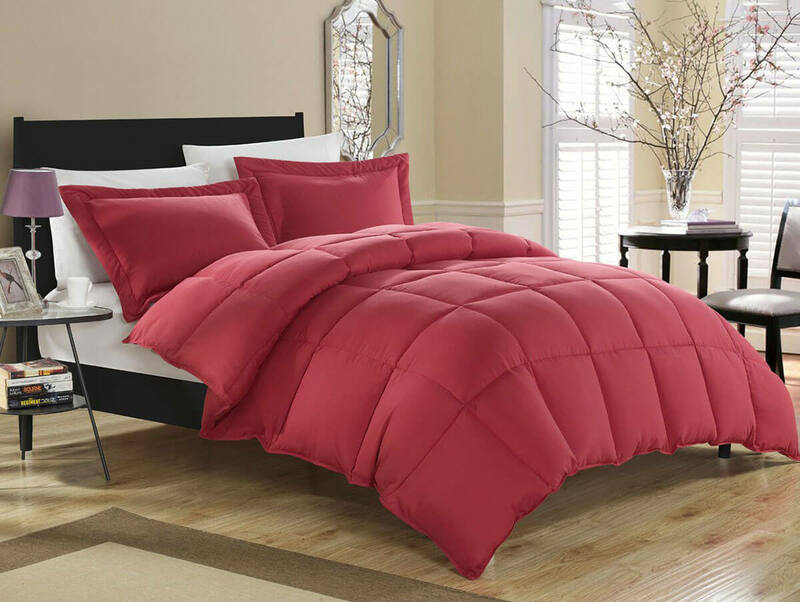 Available in nine different colors, this cozy down alternative comforter can easily be added to any current bedroom décor. Just snuggle up with a good book or loved one and enjoy sweet dreams. Feel like royalty in this super soft plush comforter. This down alternative gem will keep you warm all winter. Designed with durability and comfort in mind, this luxurious comforter is made of super soft but completely machine washable microfiber. This bedding is totally hassle free, providing you with peaceful nights snuggled up in your cozy new bedding. 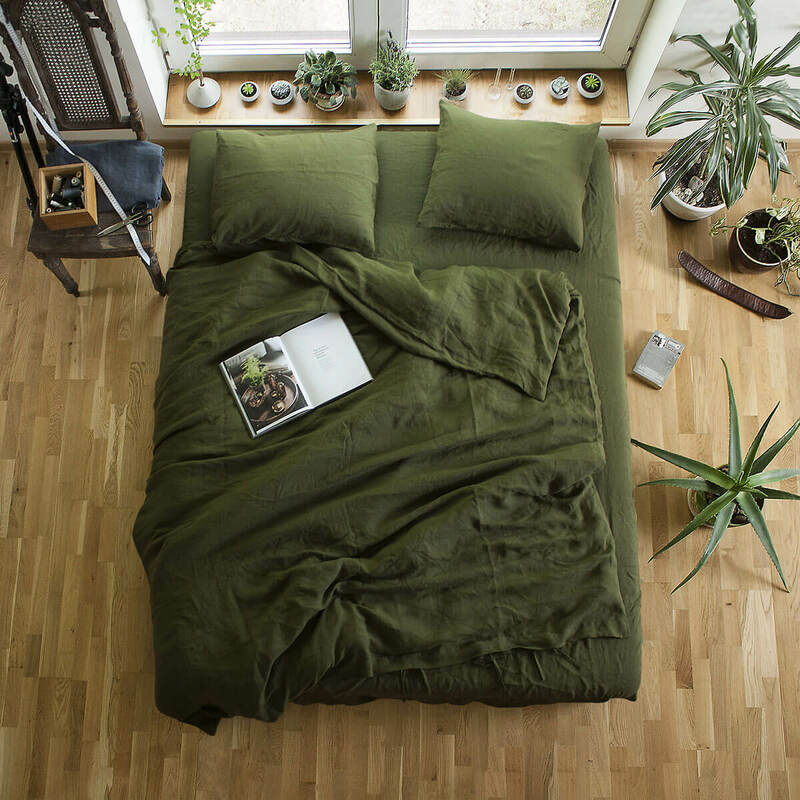 In addition to being cute, cozy, and reasonably priced, this bed set includes something that, once you have it, seems so obvious: built-in pockets. Big enough to stash your phone or favorite book but discreet enough that they don’t add any bulk, these side pockets on the sheet are revolutionary. 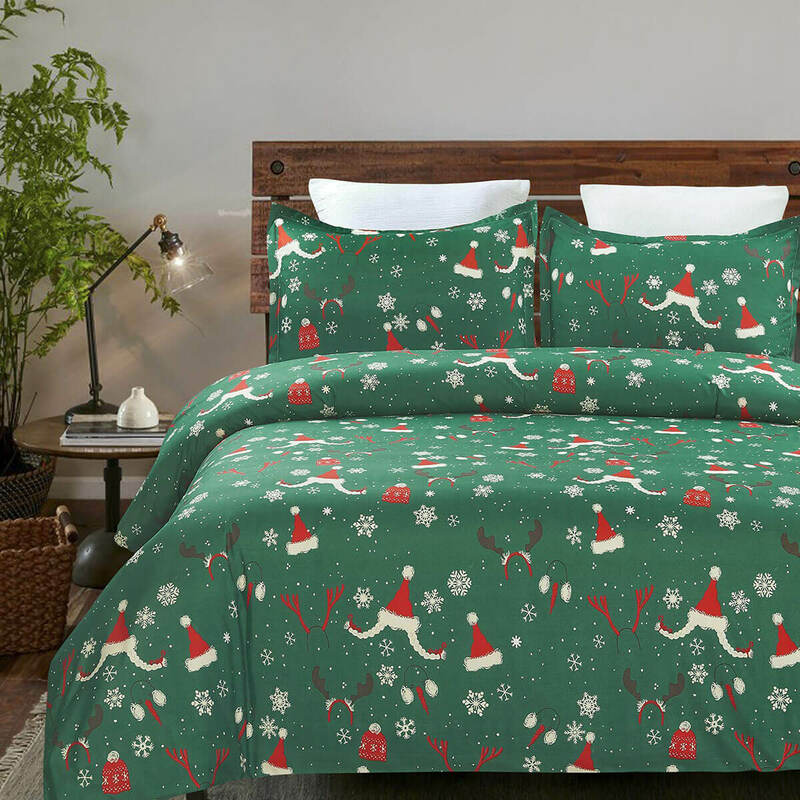 With festive holiday pajamas on the rise, why not add the same spirit to where you sleep? These fun and comfy duvet covers and pillowcases are great to add for a temporary change to your favorite bedding. Since duvet covers don’t come with all the stuff and fluff, you can easily store them away until the next holiday season. 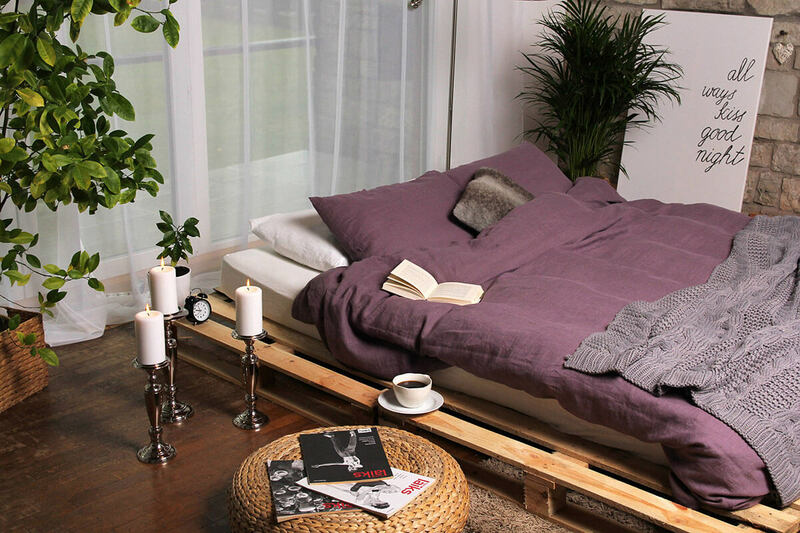 You want your bed to be a haven, a place of rest and relaxation away from all the stressors and excitements of the world. 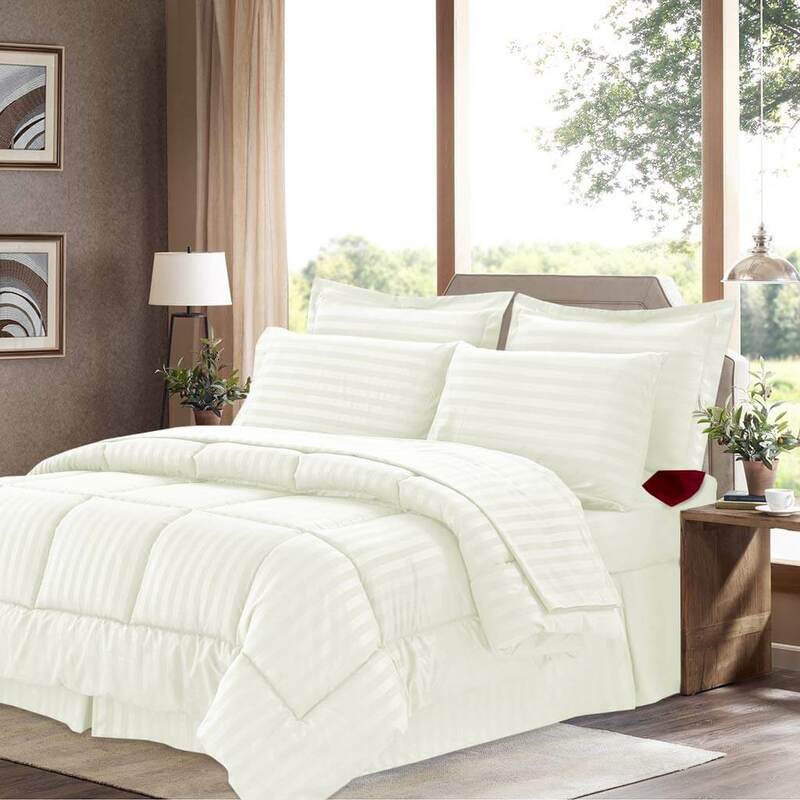 This simple and elegant bed set, with its fluffy overstuffed comforter, will set that calm and tranquil tone and will keep you cozy and calm all night long. The gorgeous and fluffy faux duvet cover is perfect for adding a touch of luxury and romance to your bedroom. Great for snuggling on your own or with a sweetie, this shaggy chic faux fur and velvet is easy to care for and slips right over your duvet. With a cute fringe sham to match, you will be all set. Available in sizes all the way up to a California King, this set covers five pillows and your whole bed in beautiful, high-quality fabrics. Perfect for a master suite or guest room, the bold colors blend harmoniously with dark woods for a colorful yet mature look and can be easily styled to match your current space. Sometimes the most comfortable way is the simplest. With no frills or fluff, this super simple bedding is everything you need – nothing more, nothing less. Opting for the simpler option of a duvet cover instead of a full comforter, it is easy to rotate this bedding in and out with another favorite. There is something so warm and homey about a quilt. Whether it is the homemade feel or the varied texture, people love the feel of snuggling up under a warm quilt. You can easily choose your favorite style, with over a dozen colors to choose from as well as the options for either a basketweave or a simple square pattern. Just as soft as the real thing, this down alternative comforter is filled to the brim to provide you with cool comfort. With color options ranging from sage to brick red, this comforter set is available in four sizes and is a fabulous choice from dorm rooms, guest rooms, or master suites. Slip between these soft sheets for a comfy and relaxing night of rest. Available in five gorgeous and sophisticated dark colors, this five-piece set is master bedroom ready. With a simple pattern, this comforter offers just enough to keep things interesting, but not so much as to make it overwhelming. Adaptable to a bed of any size, this simple zippered duvet cover boasts cool trendy patterns and super soft microfiber. The best part is that this high-quality cover comes at a reasonable price and is built to last a long time. Pick the pattern that goes best with your room and rest easy knowing you made a good choice. 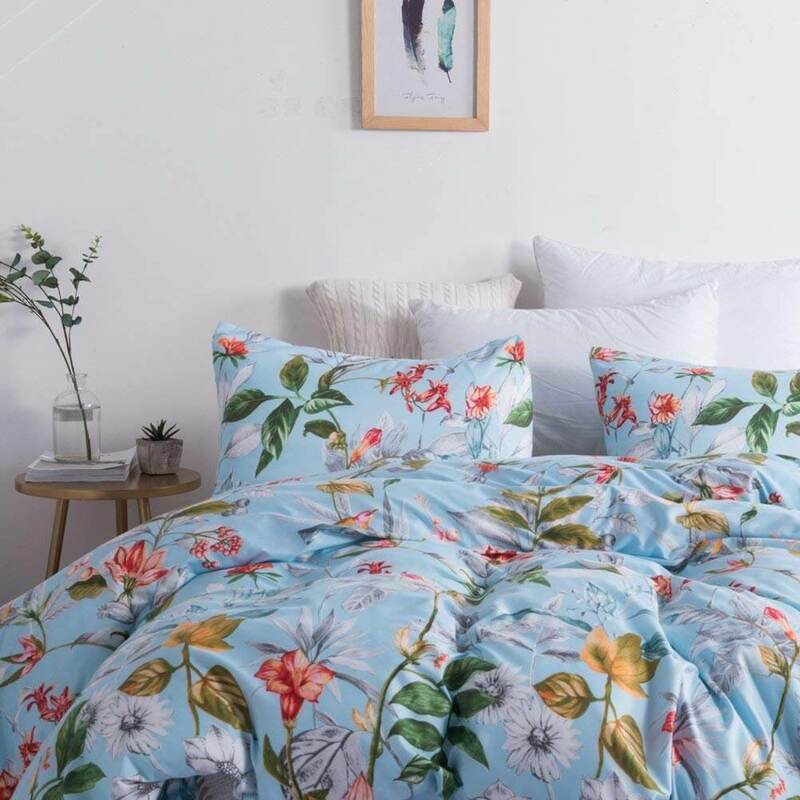 Available in three standard sizes, these gorgeous floral bedding sets have a delicate and feminine look with one side resembling a vibrant full garden and the other offering sparser blossoms for a more reserved look. With something almost watercolor-like in the print, your bed will become a work of art with this cover. 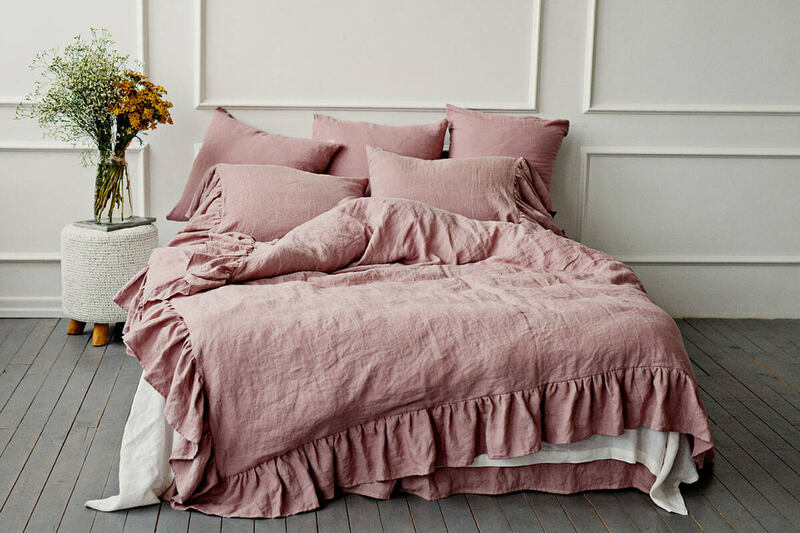 If you prefer that your bedding blend with your bedroom set rather than make a statement on its own, then this reliable soft and pretty set is a good choice for you. With eight natural neutrals to choose from, there is certainly an option or two that matches the dresser and nightstands you already have. 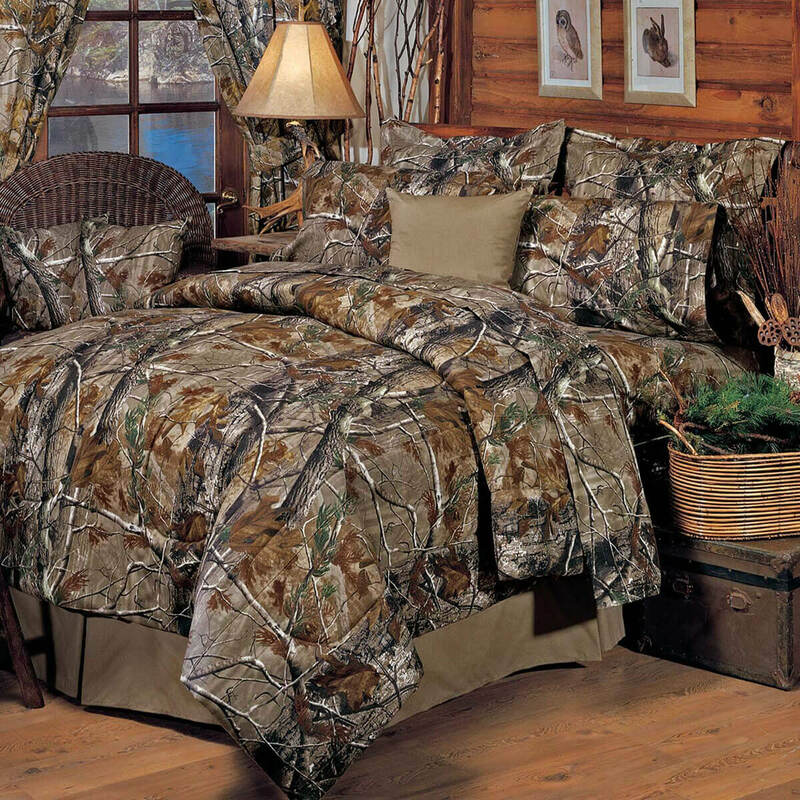 Perfect for a rustic lodge or an outdoors enthusiast, this Realtree-patterned bed set will blend right in with nature-inspired décor. When you snuggle up at night, you will be whisked away over the river and through the woods to a plush and cozy dreamland. Just be sure to wear contrasting PJs or you may disappear. Boasting nearly thirty sophisticated color choices, this duvet cover is perfect for anyone who has a particular color they are looking for or perhaps would like to get a few duvet cover options to rotate. With an easily removable and washable cover, you can change up the look of your room in just minutes. Coming with a ruffled duvet cover and two pillowcases, this set is available in five very natural colors of linen material and is available for any size bed, including cribs. This beautiful set has a romantic and whimsical air and will look great paired with antique or farmhouse chic décor. 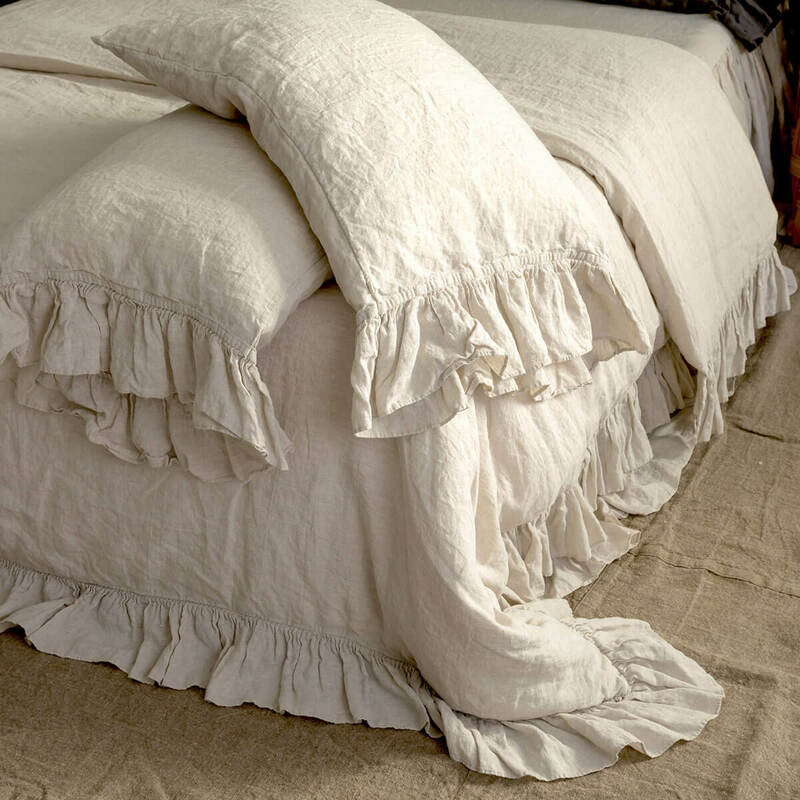 With a delicate ruffled edge, this soft linen duvet color will add a perfect kiss of comfort to every goodnight. Crafted from authentic stonewashed organic linen from Belarus, this fabric is gentle on skin and creates a beautiful shabby chic look in any color. Pair this with other rustic décor and bedding for a complete look. This duvet cover is the epitome of rustic farmhouse chic. Made from high-quality materials, this cover is lightweight for warm summer nights but also thermoregulating for those cool winter days. 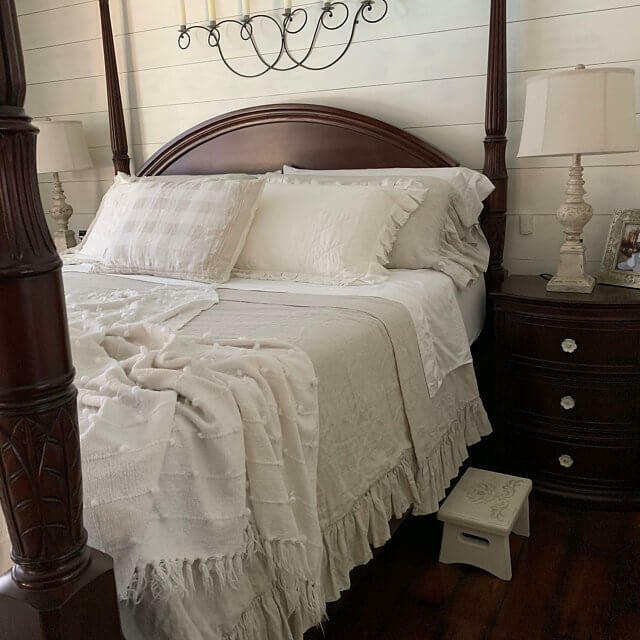 Available in rustic romantic colors like woodrose, this linen cover will add a touch of elegant comfort to your bedroom. 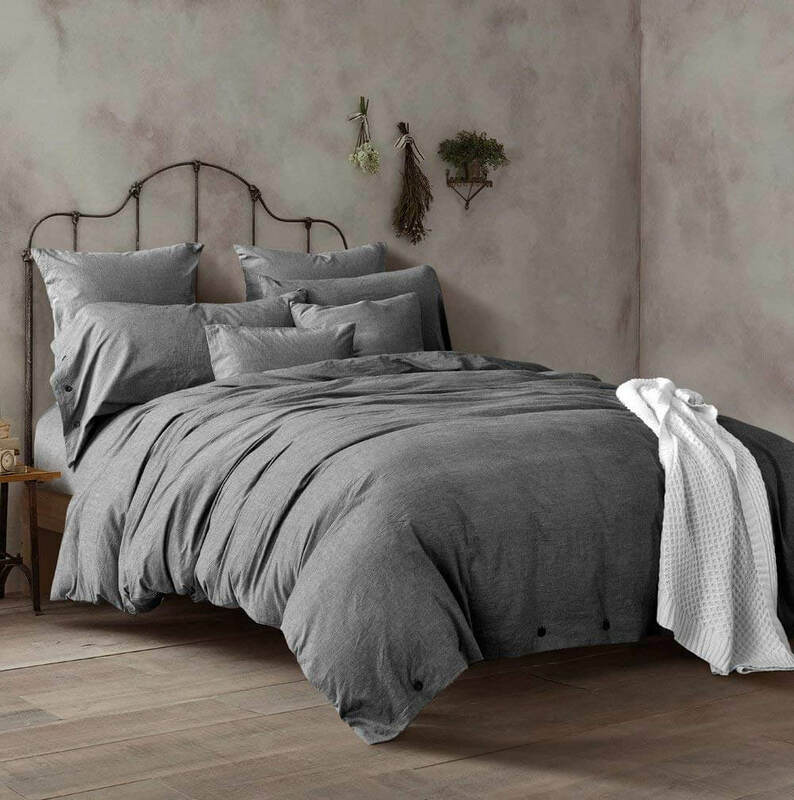 Available in many sizes and five natural colors, this is one of the best bedding sets for a rustic chic look. The sweet and simple ties add to the romantic and whimsical charm of this pretty duvet set while serving their very practical purpose, negating the need for hard and unsightly zippers. Throw this on your farmhouse-style for poster and dream on. 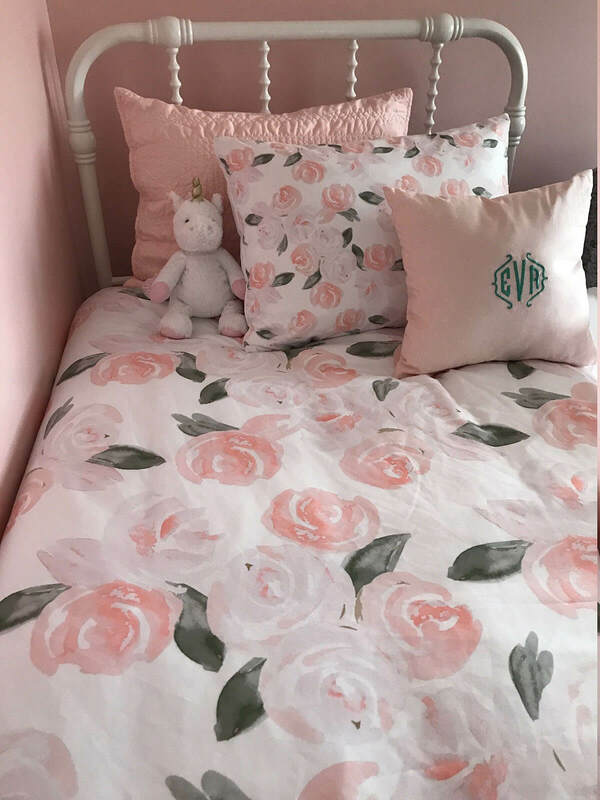 Perfect for the room of an adorable little girl or anyone who enjoys soft and delicate colors, this set will make everyone it covers feel cozy and relaxed in their posh pink bed. This set goes great with fluffy teddy bears and soft accent pillows and offers a timeless design that will always be in style. 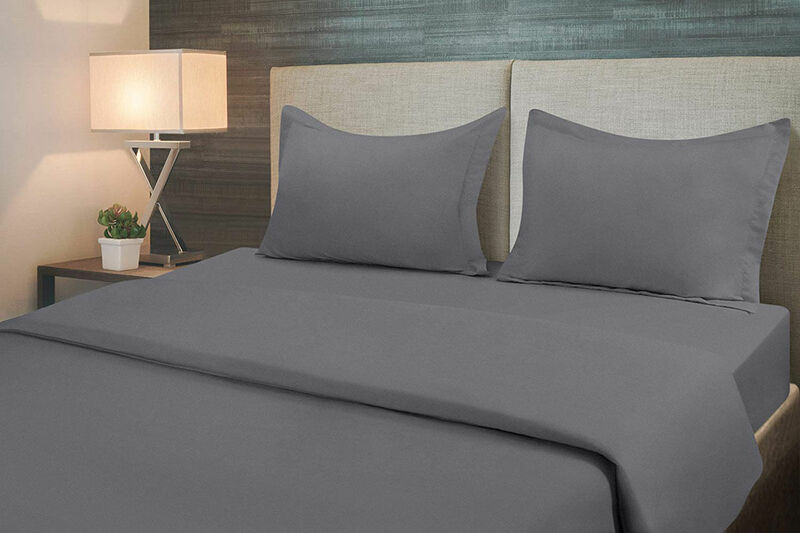 This ultra-soft high-quality linen duvet cover set comes with a single pillowcase and duvet cover with additional options available in 29 different colors. All colors and patterns maintain a strong linen appeal, with many denim colored options in addition to forest greens and mountain peak purples. This bedding can complement any room in the house and is easy to care for. This pretty duvet set is rustic country-inspired, with natural colored linens and delicate doily-style lace trim. 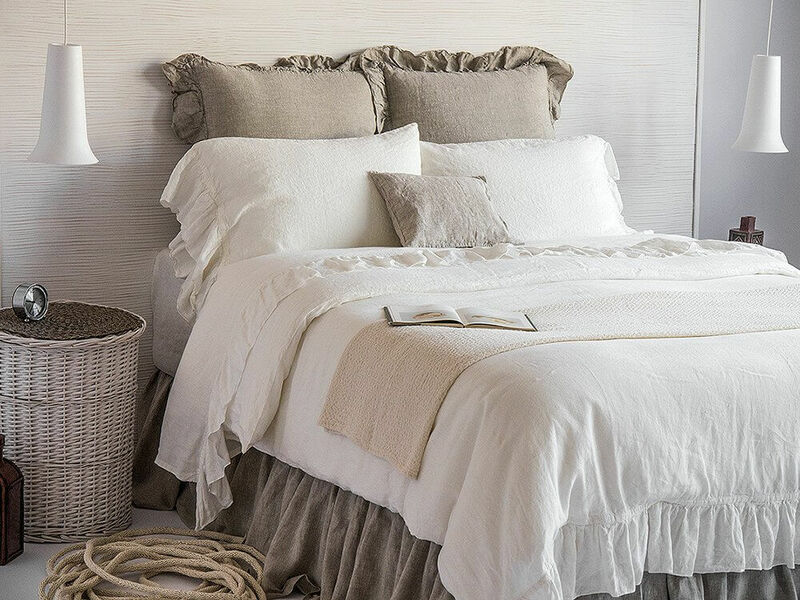 Linen is a great fabric choice for bedding since it naturally gets softer with time and doesn’t require ironing, considering that slightly tousled is its best natural look. Choose between button and zipper closure to suit your preference. 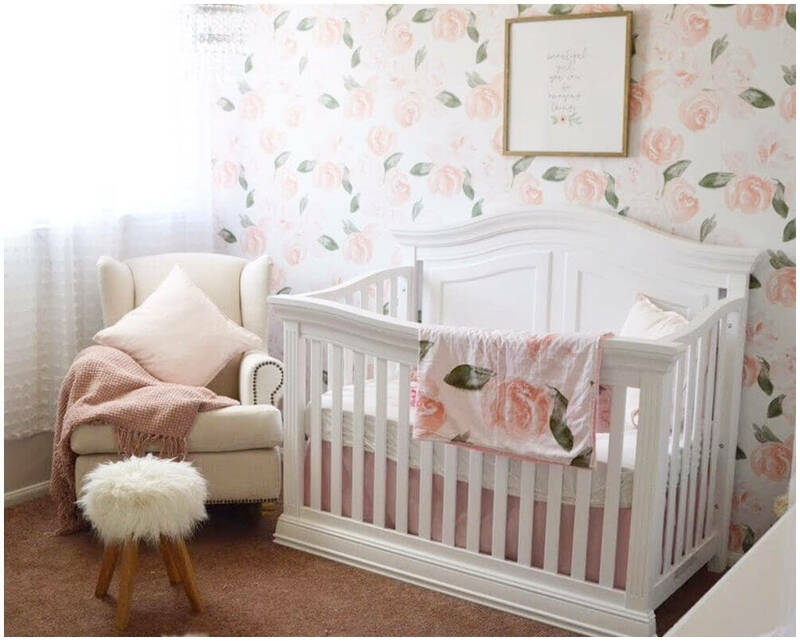 Welcoming a little one can be so exciting, and it only adds to the excitement when you have a beautiful crib like this to bring baby home to. 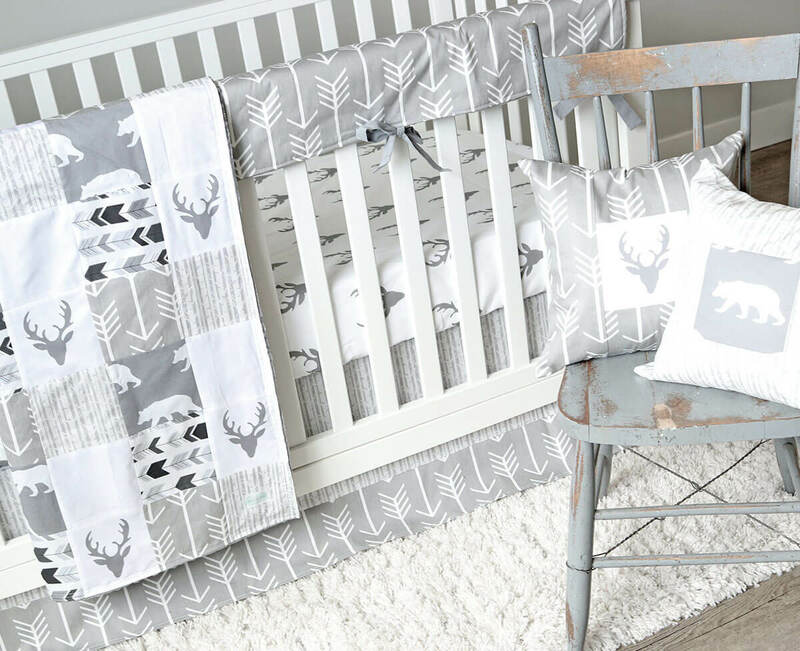 Perfect for a neutral woodland-inspired nursery theme, this bedding comes in sets or as individual pieces so that you can get just what you need. This minimalistic yet super sweet bedding set is a smart choice because it grows with your child from his or her crib to toddler bed. With playful stars and plants, your child will love the whimsical wonder of this set, and it will add extra fun to starry bedtime stories and songs. Just because children are small does not mean that their comfort should be taken for granted. When cozying up in this soft duvet cover, your little one will feel cozy and cared for and will be able to drift effortlessly off to dreamland. With six colors and many sizes, choose what works best for your family. This fun and flannel-patterned bedding offers multiple pieces either together in sets or individually. 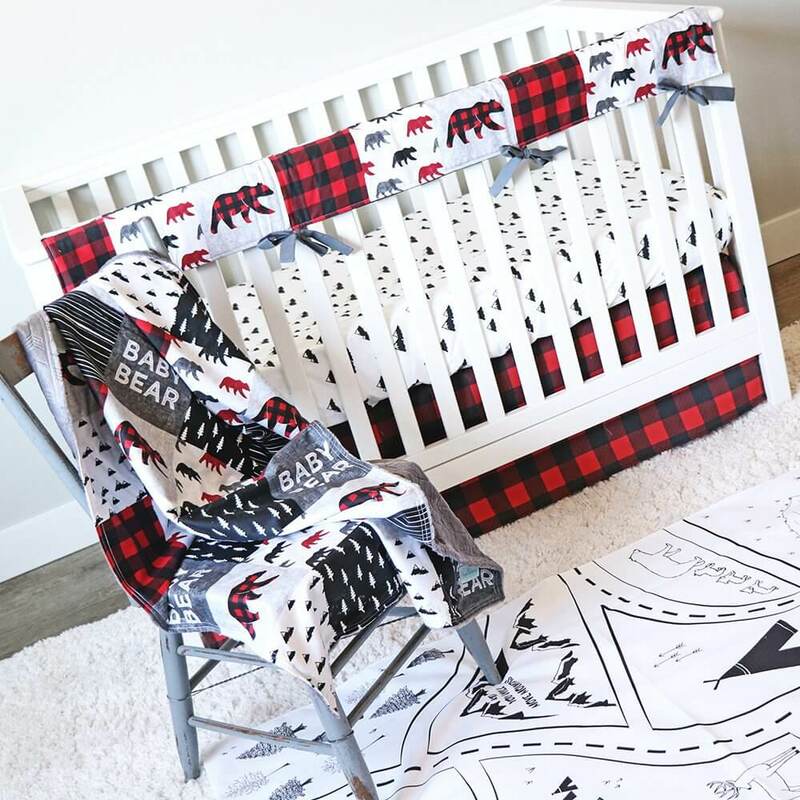 With offerings such as changing pad, pillows, blankets, and bed skirts, this is the only thing you need to keep every element of your nursery on the theme. Just throw in a favorite teddy and everything will be ready. 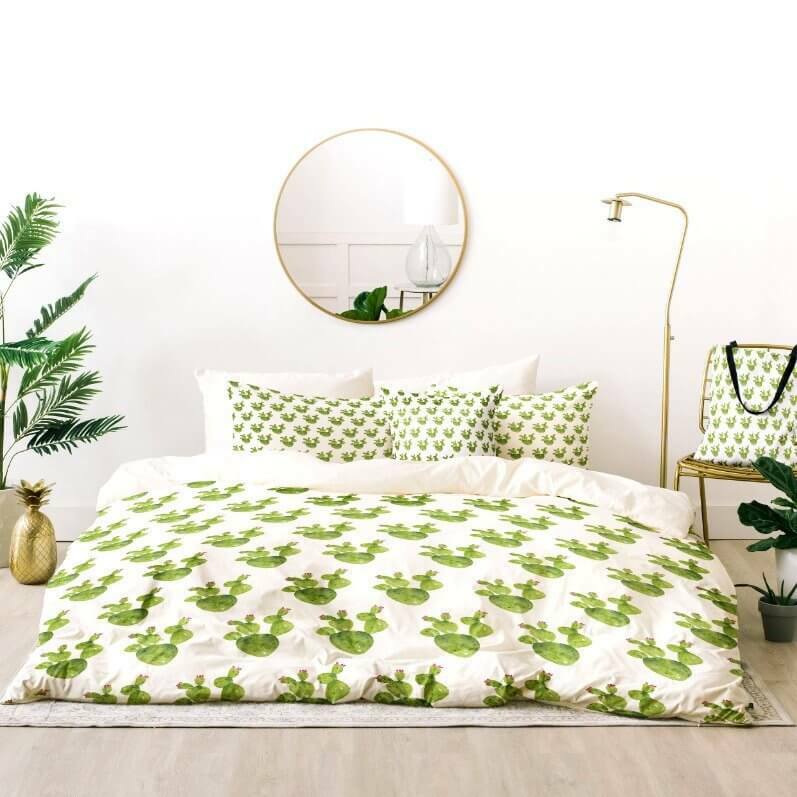 Boasting a gorgeous and natural deep forest green, this duvet cover and pillowcase set will transport your bed to a lush natural paradise where you can breathe deep and rest easy. 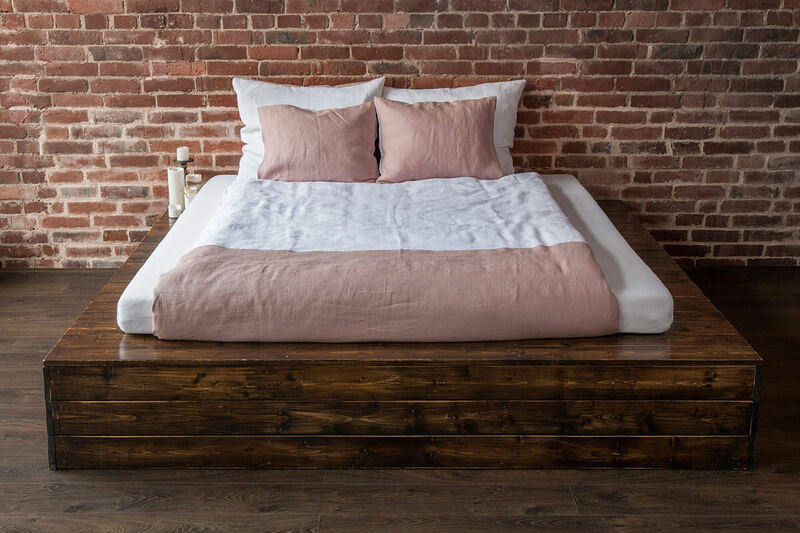 Perfectly paired with any natural wood colors, this linen duvet cover will only enhance the natural colors and materials present in your room. Feel your whole body relax when you place your darling little one on these soft and beautiful floral sheets. With a delicate pink coloring, this set puts everyone at ease and offers an Eden away from the harsh lights and colors of the world. Curl up under the soft baby blanket and spend some time relaxing with your babe. 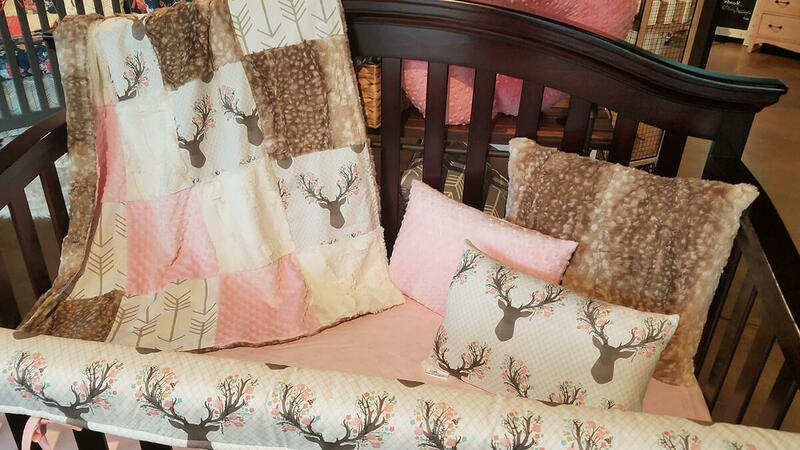 Adorable for any daughter of nature lovers, this sweet and cozy set has thirteen available individual pieces that span the bedroom to the car to playtime so that everything can match. With a pattern this adorable, it is easy to see why you would want to be able to apply it everywhere baby goes. Everyone loves falling into a gentle cloud of clean white bedding, but sometimes that can be a bit boring. That is what makes this duvet color perfect. You still get the bright freshness of crisp white linen, but you also get the added benefit of a pop of playful pink, making it the perfect way to keep it simple with just a little wink. 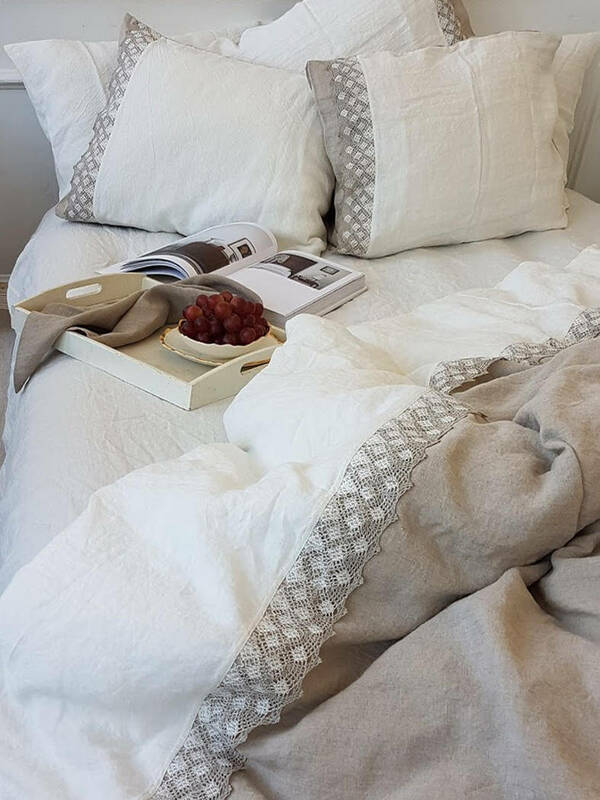 Organic linen is so soft and safe, you will feel wonderful cuddling up under it every night. With snap button closures, this duvet cover is easy to add over your comforter and is simple to take off for washes. As with any linen, there is the added benefit of it becoming softer with every wash.
With a splash of watercolor florals, this gorgeous bedding set is the perfect wedding or anniversary gift. 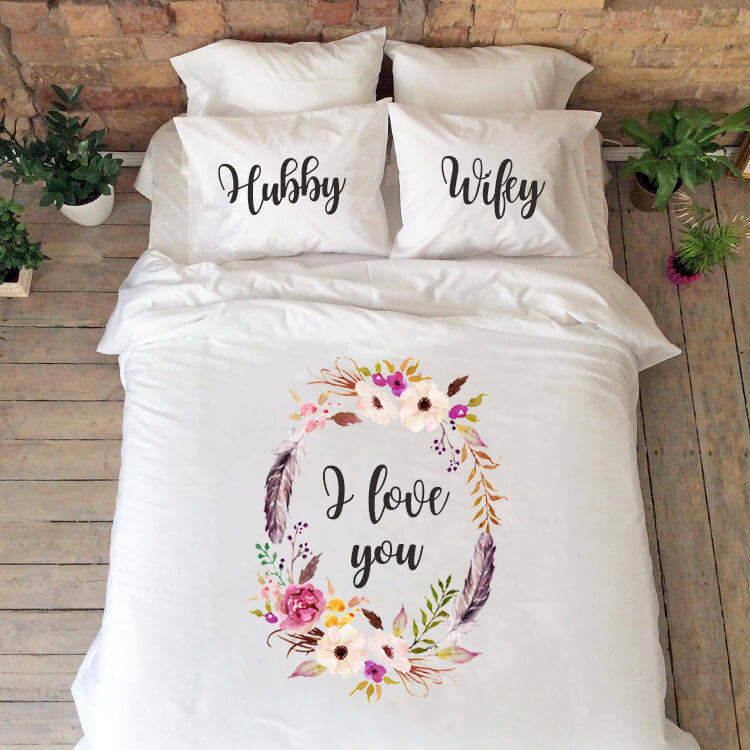 Throw this on the bed while your loved one is out so that they come home to a beautiful and soft surprise. Each set is made by hand, which makes them totally customizable, so go ahead and throw that special nickname on their pillow. 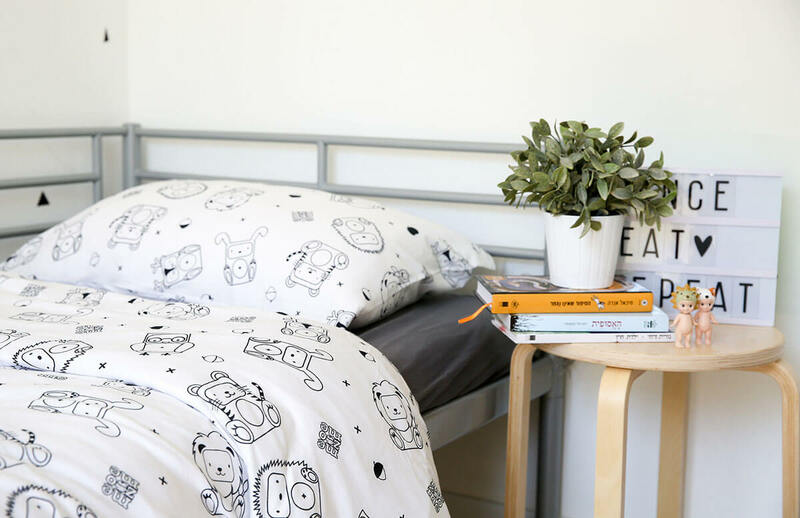 Boasting six different animals on this fun and funky print, your child will love to head to bed just to enjoy their fun sheets. 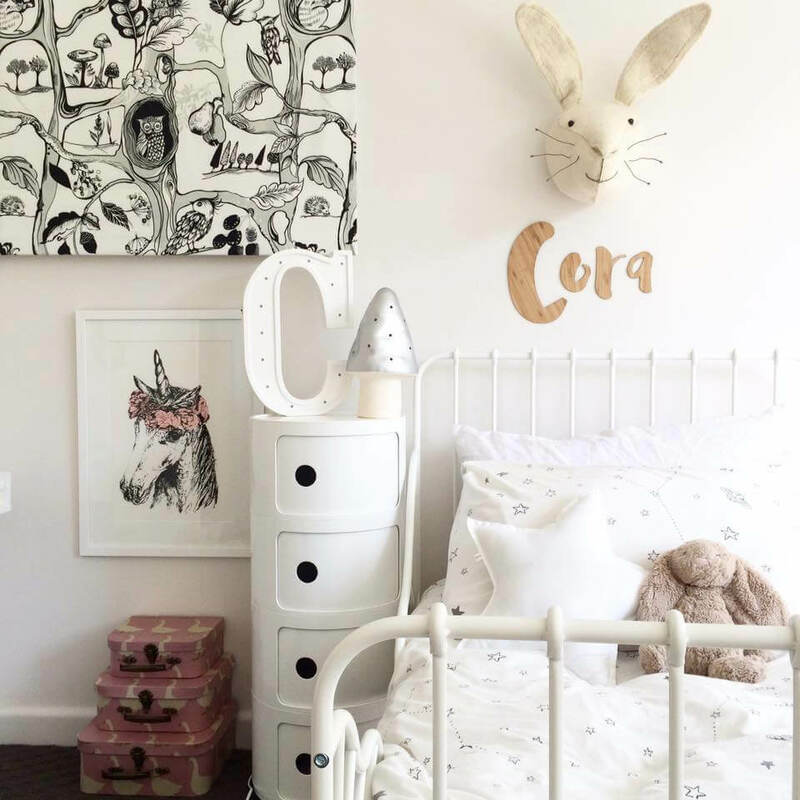 Great for a toddler transition bed, this cartoony print is fun but slightly more mature than many crib prints and is perfect for your animal-loving tot. Including all the bedding you need plus an awesome tote, this cactus print is everything. With a simple pattern and easy green coloring, it can pair with nearly anything. Also, who wouldn’t love the comedic irony of these super soft woven sheets boasting a pokey prickly pear? This set works great as a gift or to decorate a trendy bedroom. There is no rule that demands that dorm rooms be bland or basic. Just because you’re in college doesn’t mean you can’t still have a totally chic setup. This gorgeous extra-long set is just what you need to help elevate your dorm room game and keep things classy, even while attending classes. Choosing the right bedding sets is a very personal choice, and with thousands of options, it can feel overwhelming trying to find that perfect set for your home. Let this list help you narrow down your options with forty fantastic choices to peruse. Be sure to think about your personal preferences and style. Do you prefer linen or soft cotton, a bold pattern or a single neutral color? With these 40 inviting bedding combinations to give you inspiration, all you have to do is consider the mood you want to establish in your bedroom. From there, finding a bedding set that works for you should be as easy as pressing snooze.